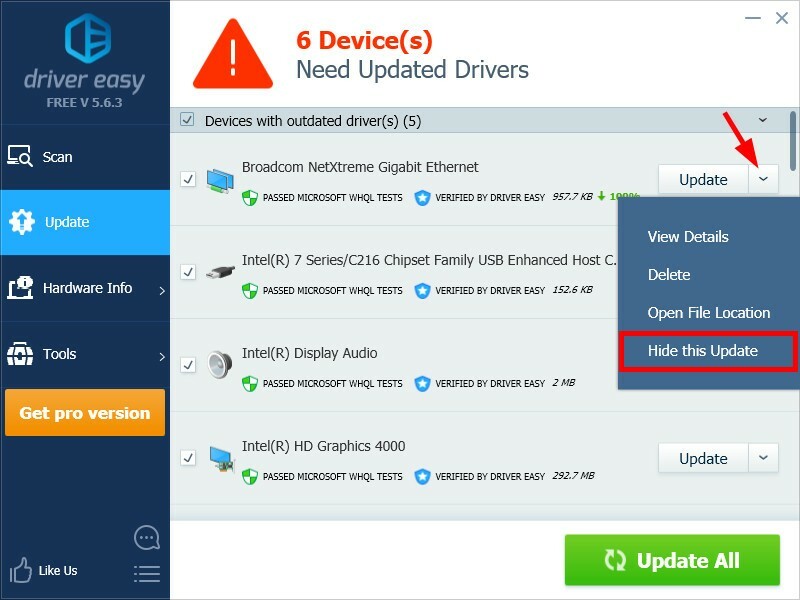 You can choose to hide a driver update so you won’t see it after you scan your computer with Driver Easy. You can also choose to show your hidden updates whenever you like. 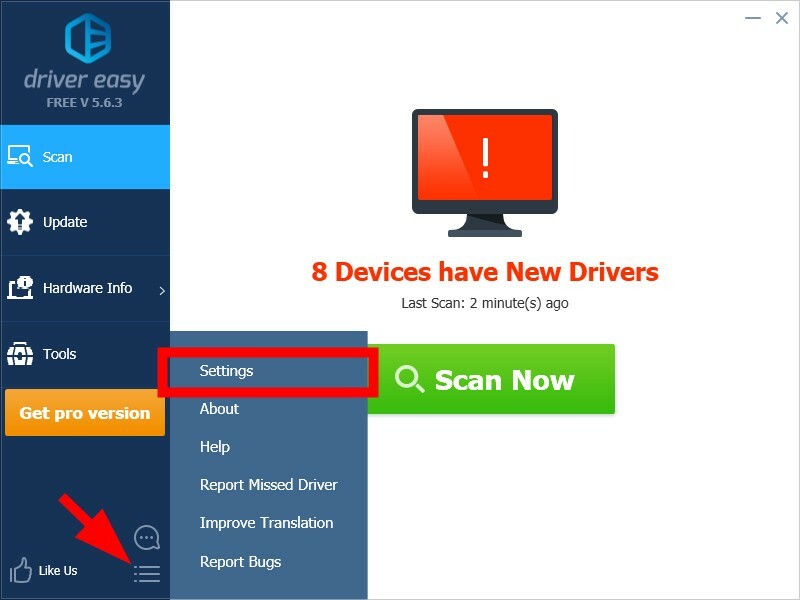 2) Click the arrow next to the Update button of a driver that you have downloaded (partly or fully), then click Hide this Update. 3) Click Yes when prompted. 1) Click the menu icon and then click Settings. 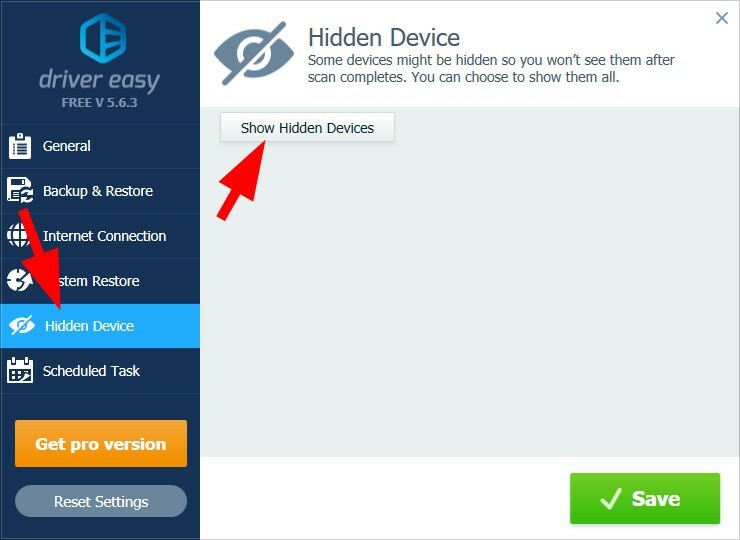 2) Click Hidden Device, then click Show Hidden Devices. 3) Click Yes when you’re prompted. All hidden updates have been displayed again.